The Prince of Wales Pub, Dining and Garden is a short walk from Hampton Court Palace & Hampton Court Station and situated in the quaint shopping street of Hampton Court Village. The pub has two outdoor spaces, a terrace to the front and a large beer garden to the rear with a fully fitted kitchen & BBQ area for long summer days of delicious flame grilled dishes & drinks in the sun. Every Sunday we offer a choice of 5 roasts ranging from succulent beef, tender chicken or delicious veggie toad in the hole. All served with crisp, golden roast potatoes, seasonal veg and a giant Yorkshire pudding. We're situated just a stones throw from the beautiful Hampton Court Palace so feel free to pop in for a drink or some lunch on your way to or from the historic location. We love families so feel free to bring the kids as we offer a childrens menu, high chairs and even colouring books. Perfect for Christmas or Birthdays, you can now purchase a gift card to be used at The Prince of Wales. Buy a round for a later date or pay for your party tab by purchasing a gift card now. 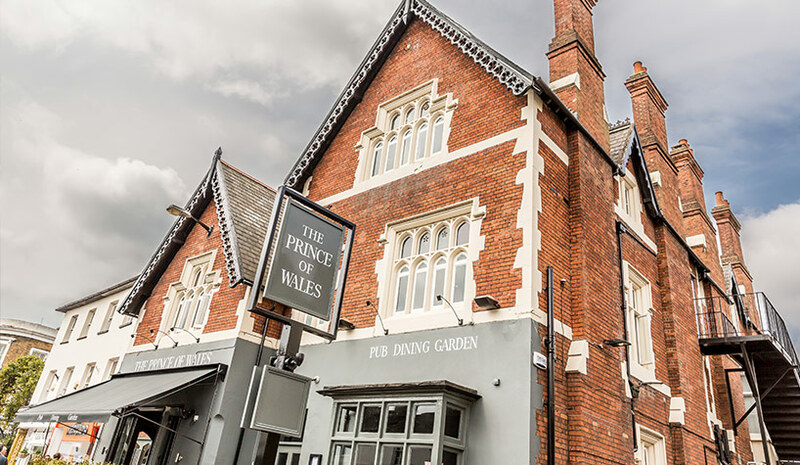 The Prince of Wales Pub, Dining & Garden is a short walk from Hampton Court Palace and Hampton Court Station and situated in the quaint shopping street of Hampton Court Village. The pub has two outdoor spaces, a walled terrace to the front and a large relaxing beer garden to the rear. The interior is a contemporary style with exposed brick walls and an striking mixture of vintage and modern. To the front there is a large bar area and a lovely separate dining room to the rear. The pretty garden to the rear of the pub offers a fully fitted BBQ area for long summer days of al fresco dining and drinks in the sunshine. We are extremely passionate about our food at the Prince of Wales where we serve an a la carte menu all day throughout lunch and dinner service. 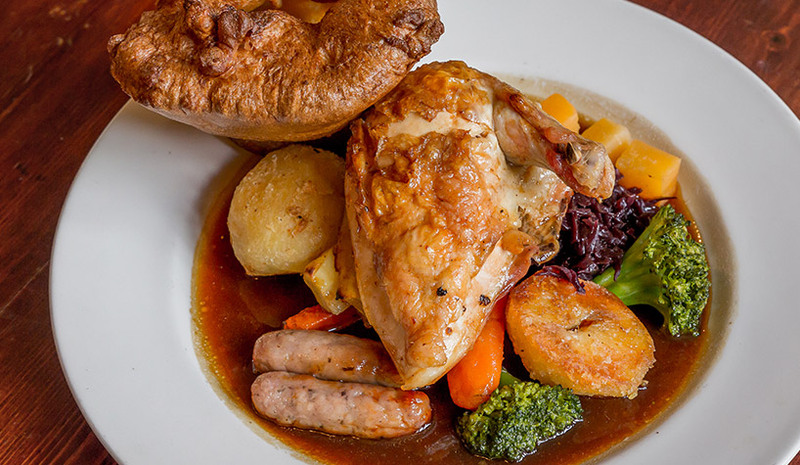 We also offer a variety of Sunday roast dishes where you will find the old favourites and some refreshing contemporary creations. We cater for all tourists, families and friends visiting Hampton Court Palace and have high chairs, children’s menus, colouring books, crayons and children’s Ice creams available. The Prince of Wales is located only a few minutes from the river Thames and is the perfect place to visit after a walk down the river or if your just off the cruise boat. We are dog friendly in the bar and garden and cater for furry friends with treats and water bowls. Make a booking with us via the widget. If no space is available for your party please be aware that we always keep areas open for walk ins.